Just imagine yourself in the huge shopping gallery. You are confused where you are: at the art exhibition, the drop fair or the panel. You look to your right and see shelves full of limited-edition shoes and sweatshirt. To your left you see stands with arthouse pictures and displays. Music by Kanye West or Pusha T in the background. Just imagine yourself in the huge shopping gallery. You are confused where you are: at the art exhibition, the drop fair or the panel. You look to your right and see shelves full of limited-edition shoes and sweatshirt. To your left you see stands with arthouse pictures and displays. Music by Kanye West or Pusha T in the background. In the distance, some youngsters perform street-style dances, in the other corner the powerful figures of the pop culture talk about world complexity, its evolution, collaboration. You are at Complex Con. The two-day event devoted to the pop culture. You are a mess. You have no idea where to head. You just need the guide like Complex Con Slack. The membership Complex Con Slack could be your satnav in this chaos of people, celebrities, streetwear and other amenities. Besides, you know organizers like withholding information up to the last. Complex Con Slack tells you what is going behind the scenes and monitor the two-day event. It provides you with secret information and surprises you should wait for: what limited-edition sneakers will be presented, what performers and panels will be. 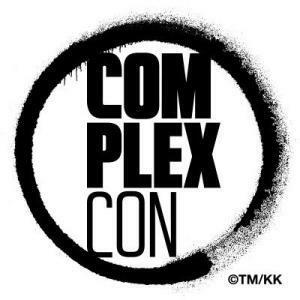 The ticket to Complex Con is the door to the new universe of exclusive streetwear, self-expressing, mind expanding and unsighted collaboration. That is the strength which you should master. Complex Con Slack helps you make the best of your tickets. It advises which amusements are worth visiting and which are not. Buy tickets for Complex Con and the membership Complex Con Slack to stay tuned during this two-day event and not to get lost there.